On November 27th, Zhou Xun went to Hong Kong to attend "Turning on the lights" activity to welcome Christmas. She appeared in the black and white skirt with short black hair in a lively stage. In the ceremony, she used the piano to play a very short piece of Christmas music, "I don't know how to play the piano. To prepare for this activity, I spent one night on practicing this song" Xun said. Zhou Xun once more time mentioned that the gift she wants the most at Christmas is white snow:"Hopefully, when waking up, I can enjoy white snow outside the house, feel the happiness and romantic. But now the earth is getting warmer. There will be snow in Beijing this year? Thus, we need together protect our environment". This Christmas, because she will be busy with playing "Woman are not bad" by Tsu Hark, it is impossible for her to enjoy the holidays with Da Qi and her family. 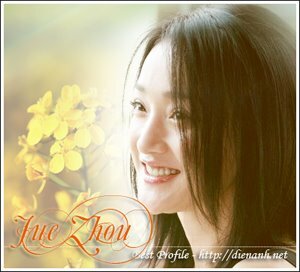 Telling about 2007 Golden Horse Awards, Zhou Xun indicated :"In fact I haven't seen all the movies in nomination list so I don't want to foretell any result, but I myself like Tony Leung and Liu.